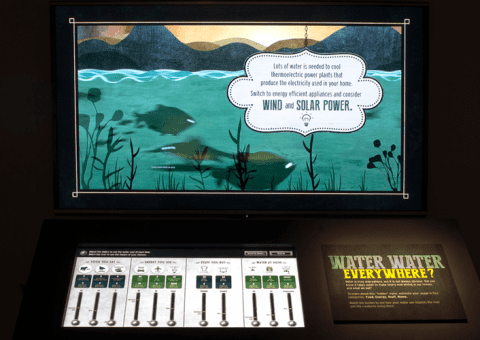 Quatrefoil developed four interactive experiences for this National Geographic Museum traveling exhibit based on the National Geographic Channel’s popular Monster Fish television series. 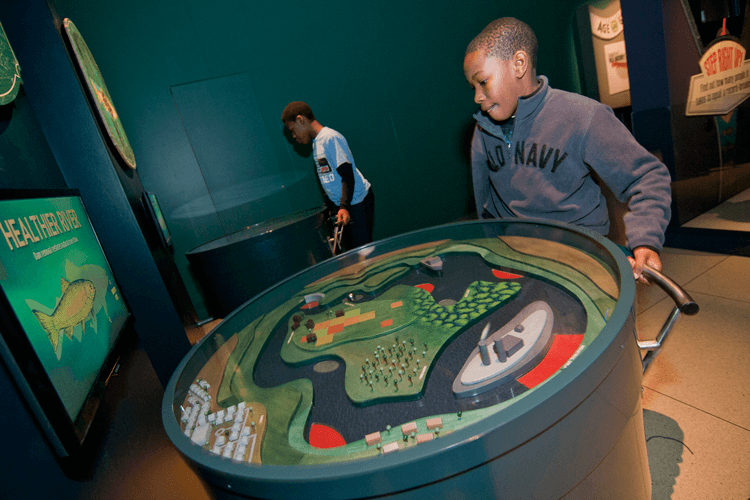 The museum team provided the initial concepts, from which Quatrefoil designed prototypes for visitor testing. 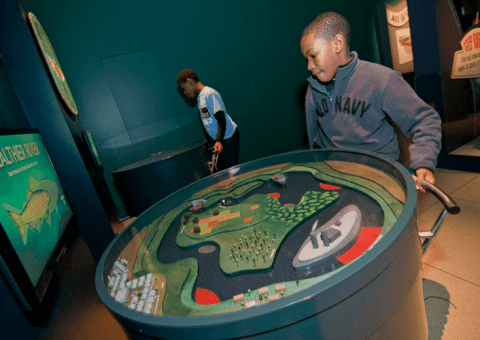 Quatrefoil integrated visitor comments and behaviors into final designs and then fabricated the series of interactives, developed to introduce visitors to enormous, ancient, and endangered fish and the work scientists do to study and protect these rare creatures. 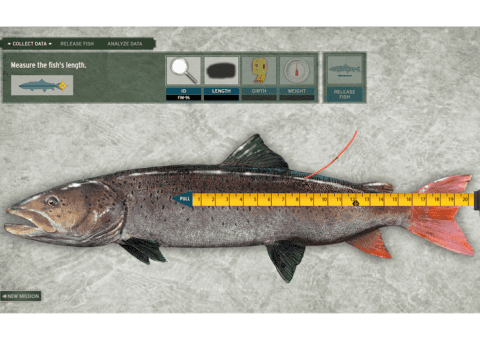 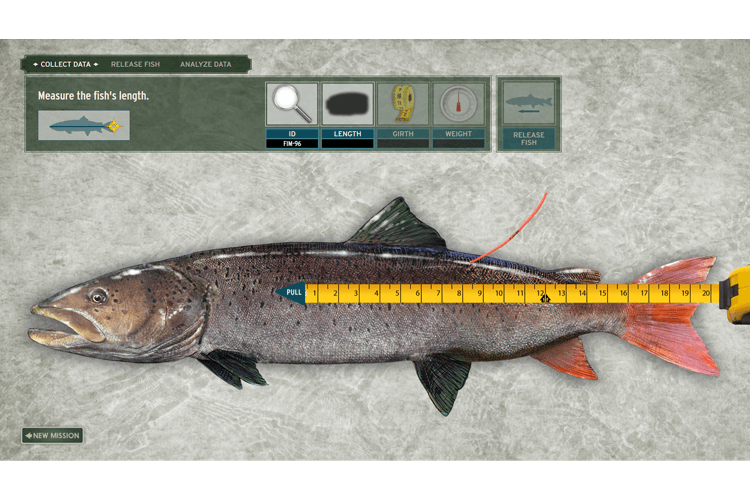 The mechanical and multimedia “Monster Size Me” interactive lets visitors guide their fish through a series of environments and watch an animated version of their fish grow based on their success at avoiding threats. 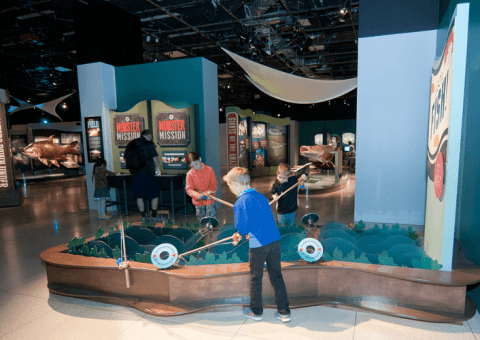 “Go Fish” is a fun hands-on activity in which visitors use wooden fishing poles to catch different “fish” and return them to the river. 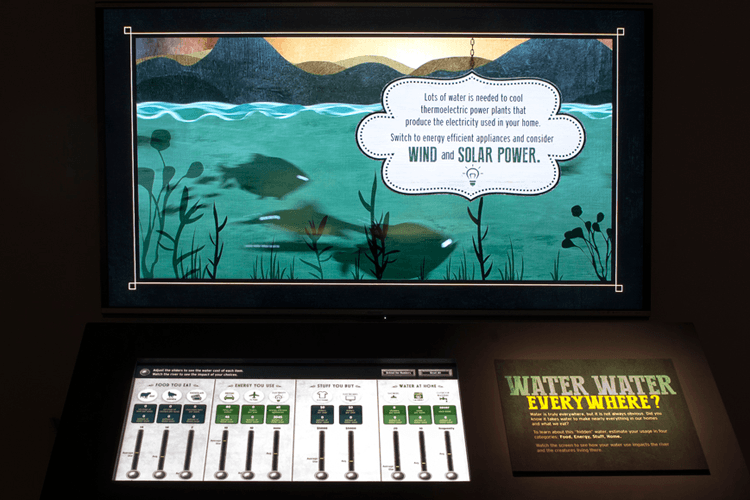 “Balancing Act” touchscreen interactive reveals how visitors individual water usage can affect their environment. 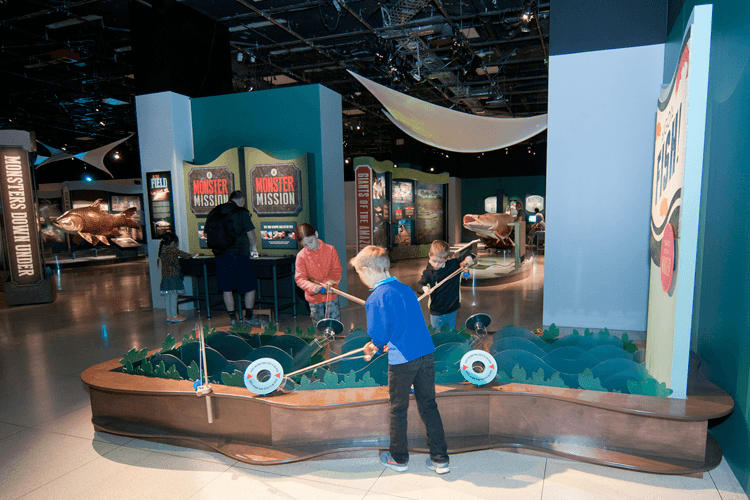 In “Monster Mission,” visitors measure growth, track movements and identify species of monster fish, much as scientists do in the field.